It’s a cartoon cliche that’s a cliche for a reason. Mail carriers really do live in fear of Fido. And now that Americans are increasingly doing their shopping online, the beleaguered members of the U.S. Postal Service have been getting bitten by dogs more often. They’ve even built an app to help avoid the canines that are just trying to protect their home from the dangerous package deliveries. According to the Associated Press, the load for mail carriers has shifted considerably in recent years with customers visiting online outlets like Amazon to have all of their basic needs and even groceries conveniently delivered to their doors. 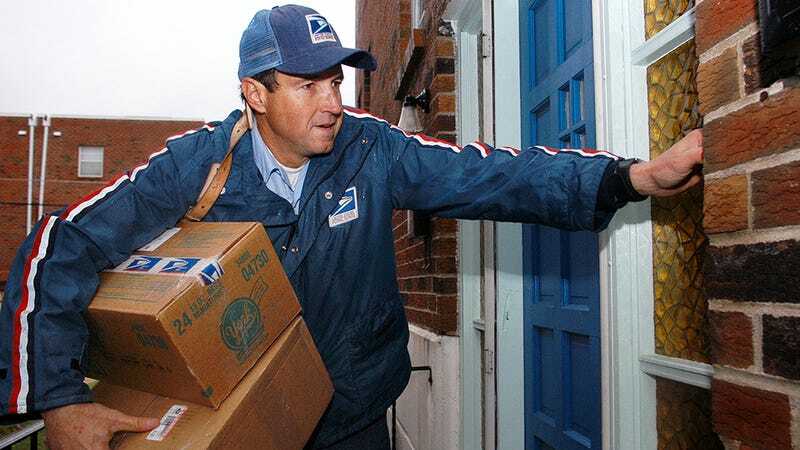 So, the men and women who must do their job come rain, sleet or snow are required to walk up to homes or interact with recipients to drop off packages. New tallies of last year’s number of incidents show that there were 6,755 dog attacks on postal workers. That’s 206 more than the previous year but a smaller increase than in 2015 when attacks were up 14 percent. “Even good dogs have bad days,” U.S. Postal Service Safety Director Linda DeCarlo in Los Angeles tells the Associated Press. “Dog bite prevention training and continuing education are important to keep pet owners, pets and those who visit homes — like letter carriers — happy and healthy.” Decarlo’s hometown had the highest number of recorded attacks with a total of 80 in 2016. The good news for postal workers is that the severity of attacks appears to be declining. According to the Insurance Information Institute and State Farm, the average cost of insurance claims was $33,230, a ten percent decrease from the previous year. One reason for that might be the tools that mail carriers are using in their day-to-day lives. Postal workers take training courses to ensure they know little tricks like using their satchels as a shield, and carrying dog biscuits and a special pepper spray. But they also use an app called “Trip Hazards” that was implemented in 2015. It allows colleagues to mark addresses that have dogs so that a mail carrier can be forewarned of a potential rogue dachshund. Robert Lieb, a professor of supply chain management at Northeastern University, tell the AP that he expects dog attacks to continue to rise and people to continue to move towards the convenience of delivery. 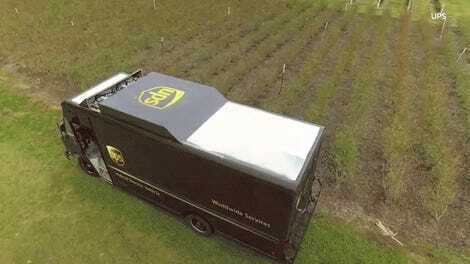 That is until the drones take over the duties of delivering the mail. “I would see eagles, not dogs, taking out drones,” he says. And the unemployed delivery folks will long for the days when they had to watch their backs.